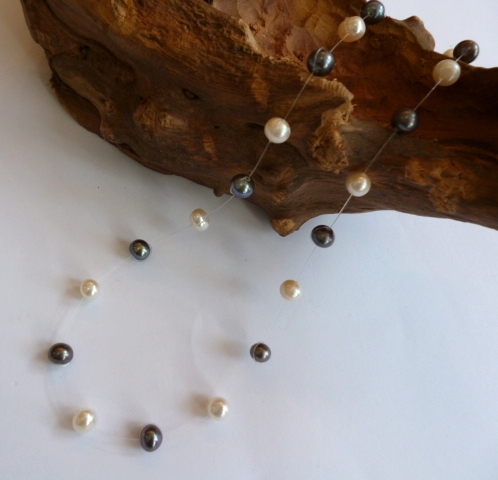 Tin Cup style pearls on a silver chain with gold beads. Home / Pearl Necklaces / Pearl Necklaces £41 to £100 More surprises! 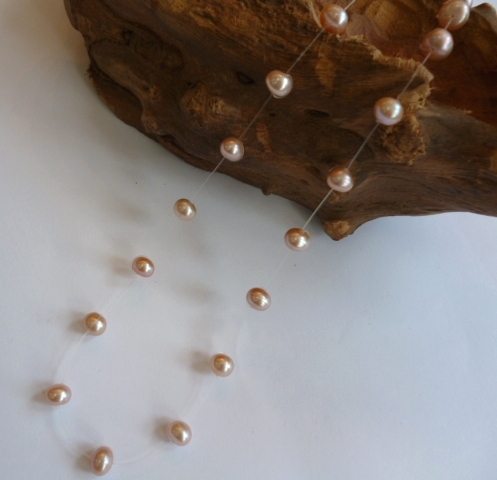 / 'Tin Cup' style pearls on a silver chain with gold beads. 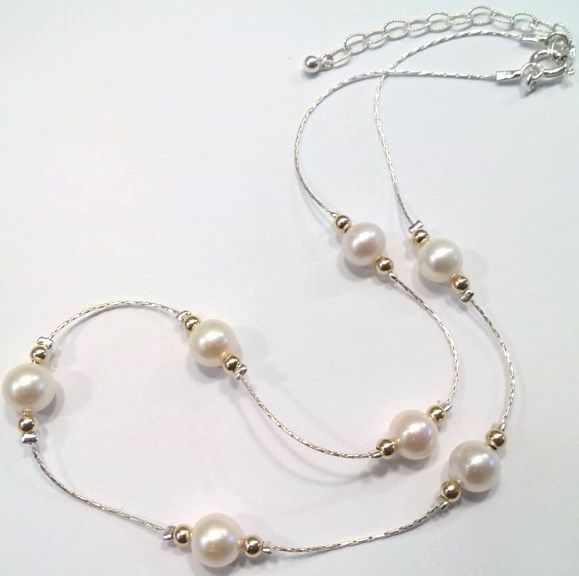 'AA' grade white 6.5 - 7mm pearls strung on fine silver chain in the 'Tin Cup' style, and with small gold spacer beads for a bit of added character. This timeless piece has a traditional silver 'bolt-ring' (trigger) clasp and silver extension chain, so you can vary the length from 16 - 18 inches. We'll send your necklace in a handsome gift box or a pretty and practical silk pouch. Please choose from the options above.